The first game at the Hirschanger this season and a league match against CC Bavaria who have put the kybosh on our league aspirations in three out of four seasons since 2008. What would it be like this year? The weather in the days leading up to the match had been poor for cricket, a lot of rain and rain was forecast for later in the day. Club captain Weston was making Berlin unsafe so club vice-captain Clare was again skipper for the day. Clare duly won the toss and perhaps surprisingly chose to field first. Clearly the threat of rain and the opportunity to keep the opposition contained to a small twenty over score swayed him. 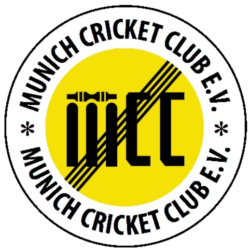 The move seemed to pay off, all MCC bowlers bowling tightly, and, at 20 overs, the CC Bavaria score was 78 for 2. There was a rain shower making the outfield even wetter but thereafter the weather improved. After around 32 overs the batsmen insisted that the wet outfield has caused the ball to soak up moisture and become too heavy. Although there was no deformation nor any damage to the seam, the umpire finally allowed the ball to be changed and the batsmen were soon profitting from it. After the match I checked with the lawmakers at Lords and was advised that should the ball soak up too much water and become heavier than the weight defined in the laws then it should be changed. However this is something that very rarely, if ever, happens. Should umpires now have to carry a miniature set of scales with them? After 38 overs CC Bavaria were 191 for 5 but some poor bowling at the death allowed them to increase this to 229 for 6 after the 40 overs. At the start of the MCC innings it was clear that there would be no twenty overs decision, to win we would have to beat their score of 229. Openers O`Meagher and Veser bagan the chase but Veser soon departed for 4 with the score on 9 to be replaced by Sarma. They put on 69 for the second wicket at a fair run rate, Sarma finally being caught for 31 with the score on 78. Rabbani came and went quickly having been run out slowly and was replaced by Algar. He and O`Meagher took the score to 100 for 3 after 20 overs, Algar passing his 1000 accumulated runs milestone on the way. MCC continued to score at a healthy rate but also lost wickets fairly regularly, among them skipper Clare who decided to join the duck race. Pick of the batsmen was Wright, who finished on 52, his first fifty anywhere less than a 90 minute flight from Munich. After 38 overs MCC were 201 for 9 and almost made it when Wright was out caught on the boundary in the final over. Had it carried to be a boundary six we would have needed only nine runs from five balls. In the end a very exciting match and CC Bavaria continue to be the bane of our league title aspirations. 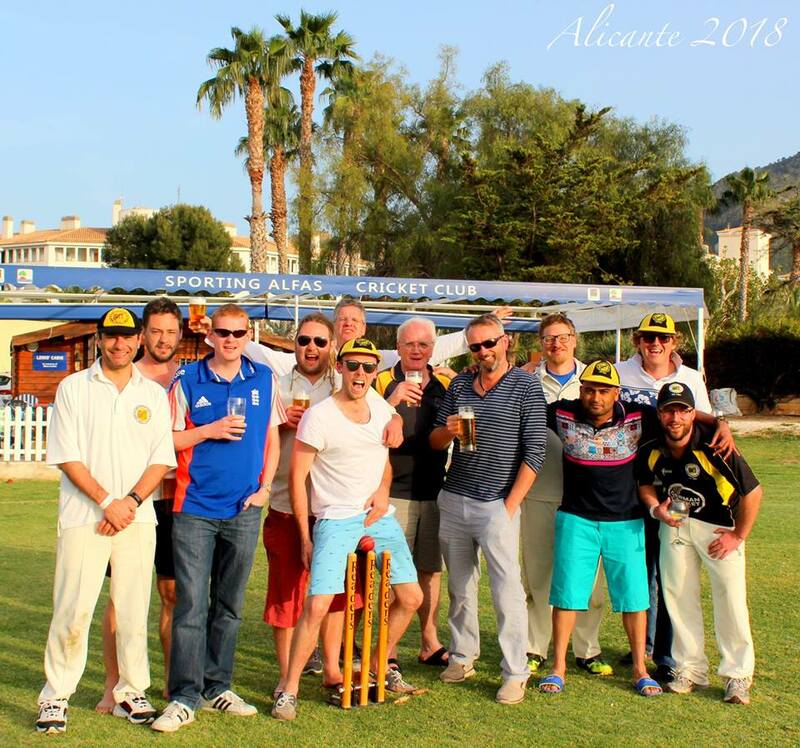 MCC, 214 for 10, lost to CC Bavaria, 229 for 6, by 15 runs.